The Berlin based dj and producer S.Sic started being interested in electronic music by hearing corresponding radioshows in the middle of the 90s. After his first club experiences his interest turned into a passion for techno music and djing. 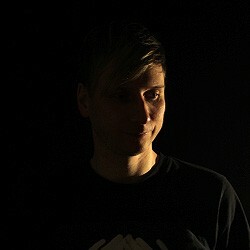 Step by step he established himself as a dj at various Berlin techno clubs. In 1999 S.Sic started a residency at a party series called Subtunes (Subground/Berlin) and got one year later the opportunity to play regularly at the ‚New Faces Program‘ of Berlin’s famous Tresor club. The things started to happen. In 2003 he became a Resident/’Headquarter DJ‘ at the Tresor, which was followed one year later by another new residency at the well known Electric Ballroom (SO36/Berlin). Gigs all over Germany and other countries like Spain, Italy, Poland, France etc. followed and furthermore he organized his own party series called ‚Rejoice‘. In the late 2000s his style changed into deeper techno and tech house. Interested in more, he bagan to produce his own music and set up an own studio. After a whole number of releases on several labels like, Bordello a Parici, Counter Pulse, 31337 Records, Symbiostic etc, S.Sic launched the label Filou-Music together with his longtime companion Micha Stahl in 2013 and founded, in addition to it, one year later a secound label named Sick:Trash.